Everyone knows Manhattan is all about high-rise condos, tall apartment buildings, and any other kind of building in which people live above other people. But it wasn’t always that way. A hundred years ago, there was still room on this small island for the ultra-rich to build mansions all to themselves, single-family homes with the square footage of a castle. Today many of these buildings, all “Millionaire’s Row” mansions in the Upper East Side, belong to museums and schools, but the question remains: What are the biggest buildings in Manhattan today that were built as single-family homes? Walking through this maisonette located at 170 East 78th Street is akin to going on a wonderful adventure where you’re not quite sure what you will see next. Every room in this tri-level home is filled with unique touches like gorgeous wood paneling surrounding quaint built-ins, ornately enshrined wood-burning fireplaces, and 13-foot ceilings. Originally built as three separate artist’s studios, this dramatic apartment feels like living in a 30-foot wide townhouse with all the benefits of a full-time doorman. 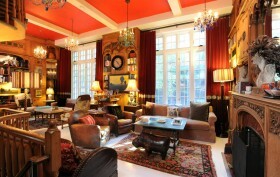 See more of this magnificent triplex maisonette! 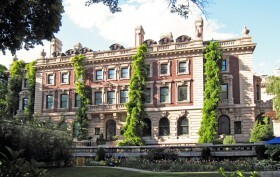 The Frick Collection just announced their plans for expansion last week and today they’ve unveiled renderings. 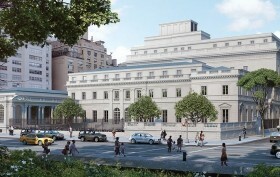 The construction, designed by Davis Brody Bond architectural firm – the same firm responsible for the interiors in the 9/11 Museum – plans to expand the space by 60,000 square feet, connecting their Upper East Side mansion with the museum’s art reference library. 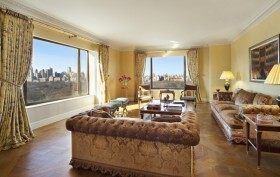 David Geffen has been dethroned as the person to have spent the most on a co-op in NYC, ever. Egyptian billionaire, a.k.a. the richest man in Egypt, Nassef Sawiris closed on the pad at 960 Fifth Avenue this afternoon through a listing held by Brown Harris Stevens. The penthouse apartment was originally going for $65 million earlier this spring, but power brokers Mary Rutherfurd and Leslie Coleman of Brown Harris Stevens managed to squeeze an extra $5 million out of Sawiris in a bidding war. Funnily enough, 960 has been cited as one of the city’s ‘A-plus’ buildings, and in 1997 a New York Times article wrote that most residents in the building “are worth over $100 million” and that apartments cost about $15 million — my how times have changed! In one of the city’s most charming residential pockets, a turn-of-the-century townhouse with a lovely combination of historic details and modern touches has sold for $6.25 million through a listing held by the Corcoran Group. 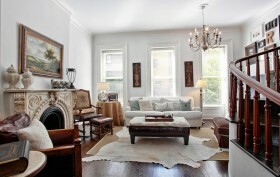 251 East 61st Street is a four-story brick home with an exceptionally rare two-story rear carriage house. The 5BR/3.5BA townhouse went through a recent renovation that included refinishing the hardwood floors and repainting the front facade and interior walls. When you’ve got billions what’s $11.3 million spent on some prime NYC real estate? 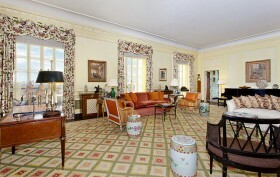 According to city records filed this morning, Italian billionaire (the 1,067th in the world, and the 22nd in Italy) Pier Luigi Loro Piana just purchased a stunning Carnegie Hill co-op at 980 Fifth Avenue through a listing held by Sotheby’s. The Italian fashion magnate crossed the billionaire’s mark just last July when he and his brother sold an 80% stake in the Loro Piana fashion line to French billionaire Bernard Arnault’s LVMH for $2.6 billion. With plenty of closets in this 3BR/3.5BA, including a 100-square-foot dressing room, the Pianas will have lots of room to store some of the luxurious cashmere and wool suits and sweaters that brought their family such great wealth today. The beautiful home also boasts stunning views of Central Park, and the building itself sparked quite a bit of controversy back in 1966 when it was constructed. 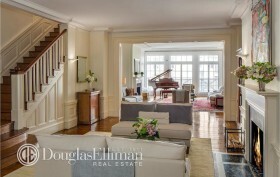 Wall Street banker Brian Kelly and his wife Robin Foley have just purchased a gorgeous Upper East Side duplex at 830 Park Avenue for $8.495 million. Apartment 9/10B is reminiscent of a home in an Edith Wharton novel, which is appropriate because it’s managed to maintain much of its early 20th century charm even as it boasts some of the most modern finishes. Well, if you were getting your finances together to buy the $13 million apartment at 15 Central Park West, you can get off the phone with your accountant because it’s sold. 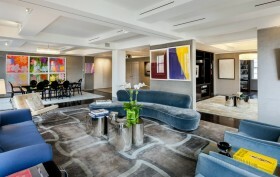 Unfortunately for you, Noel Berk of Mercedes/Berk has sold the Upper West Side stunner to someone else for $13.075 million. But that’s not going to stop us from writing about it, so sit back and take in the splendor that is the apartment you just barely missed out on. 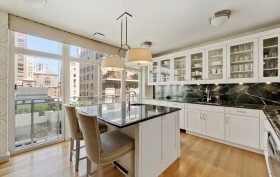 Unit 15K is an absolutely astounding 3BR/3.5BA beauty, with giant windows that bathe the entire apartment with light. Upon entry to this 2,500 square-foot haven, you’re greeted with a gorgeous foyer with Venetian plaster walls. 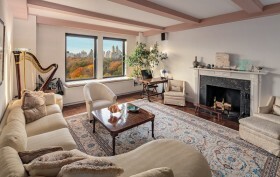 This leads to a spacious living room with huge windows so as not to obstruct your view of the Lincoln Center. There’s a dining room situated right off the living room, a perfect place to seat your guests as they spend too much time oohing and ahhing over your apartment to remember to eat. And speaking of food, let’s take a trip into this kitchen.